Summary and Definition: The Yana tribe were a northern Californian tribe of hunter gatherers and fishermen. The Yana tribe are now extinct. The last known Yana was called Ishi, who died in 1916. The demise of the Yana tribe is attributed to the diseases brought by white gold rush settlers who took over their tribal regions devastating the Yana lifestyle by felling the oak trees and with them the acorns that were an important food source of the tribe. What was the lifestyle and culture of the Yana tribe? The Yana were an independent and reclusive people. They neighbors were the Wintun tribe with whom they were frequently at war. With the opening of the Oregon and California trail white settlers, travelling in wagon trains, began to invade their lands. The discovery of gold in California swelled the number strangers as gold rush settlers flocked to the region. The Yana were fierce defenders of their diminishing territory of mountain canyons but the numbers of their people swiftly diminished as they succumbed to European diseases such as smallpox, measles and influenza. As the white settlers continued to encroach on their lands acorns, a staple element of their diet, became very difficult to obtain because the oak trees were being cut down to create white settlements. The last known member of the Yana tribe was called Ishi, who died in 1916 when the Yana people became extinct. What language did the Yana tribe speak? The Yana tribe spoke in their own language, which is now extinct. It is classified as a branch of the Hokan language family. 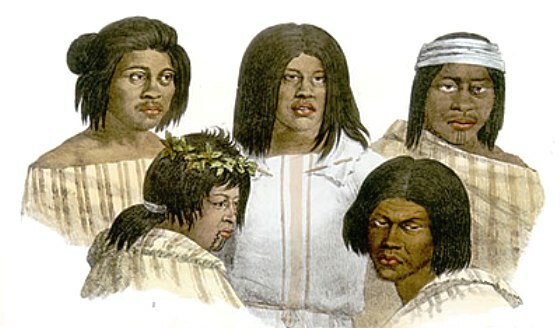 The Yana-speaking people comprised four groups: the Northern Yana, the Central Yana, the Southern Yana, and the Yahi. Where did the Yana tribe live? The Yana are people of the California Native American cultural group. The geography of the region in which they lived dictated the lifestyle and culture of the Yana tribe. What did the Yana tribe live in? Northern and Central Yana groups lived in earth-covered houses that provided shelter for several families. The Southern and Yahi groups preferred smaller, pointed, conical cedar bark-covered shelters. Use was also made of the caves in the area. Winter Pit Houses: The more permanent winter homes of the Yana consisted of semi-subterranean winter pit houses that were set about three feet into the ground and built with a frame of poles covered by reeds, bark and sod (turf). Northern and central groups built large earth-pit houses in which several families lived. The pit houses had a central fire pit with an opening in the roof allowing smoke to escape and to let light and air in. What food did the Yana tribe eat? The food that the Yana tribe ate included a variety of different food but the staple part of their diet were the acorns from the Californian black, white and tan oak trees that provided an abundance of these nuts. The acorns which were leeched in water or left until they turned black in order to remove the taste of bitter tannic acid. The acorns were then roasted and eaten whole or ground into acorn meal which was used to make bread. Salmon and trout were the main types of fish eaten by the people and river mussels were available to the northern Yana bands. Hunters supplied meat from deer (venison) and small game such as quail, rabbit and small rodents. Their protein diet was supplements by eating fruits, seeds, nuts, bulbs and roots. Insects such as crickets, earthworms, grasshoppers, caterpillars and locusts were baked when fresh meat was scarce. What weapons did the Yana use? The weapons used by the Yana tribe included spears, stone ball clubs, knives and the bow and arrow. What clothes did the Yana men wear? The clothes worn by the men of the Yana tribe varied according to the season. During the hot summer months the men were happy to hunt naked. In the colder winter months warm clothing was required. Their clothes were made from the hides of animals such as deer (buckskin), elk, squirrel, rabbit and wildcats. The items of clothing included warm fur robes, shirts, wrap-around kilts or aprons, mitts and leggings that were decorated with fringes. They wore one-piece moccasins with a front seam whilst hunting or traveling, but usually went barefoot in the warm weather. What clothes did the Yana women wear? The type of clothes worn by the women of the Yana tribe included blouses and front and back aprons made of shredded willow bark. Their clothes fell to calf length between the ankle and knee, were belted, fringed and special clothes were strung with ornaments, tassels and porcupine quills. Twined tule sandals or moccasins covered their feet and they winter they wore fur robes to keep out the cold. Both the men and women wore ornaments, especially necklaces, made from beads, shells, bird claws, bear claws and elk teeth. The people did not wear tattoos but grease was mixed with black charcoal, white chalk powder, red and yellow dyes to make face and body paint. Both the men and women had nose and ear piercings. Necklaces and earrings also made were made from magnesite, a stone found in northern California. When fired, these turn beautiful banded shades of pink, orange, buff stones that were finely polished and used as beads. The Magnesite beads were highly valued and were traded as single pieces, or combined with shells on a string. Magnesite beads, dentalium (tube-shaped mollusk shells) and clamshell beads were all used as money by the Yana. Yana History Timeline: What happened to the Yana tribe? The following history timeline details facts, dates and famous landmarks of the people. The Yana timeline explains what happened to the people of their tribe. 1856: The Shingletown massacre in March 1856 occurred in reprisal for thefts, when white settlers massacred at least 20 Yana men, women and children near Shingletown, California. 1864: Settlers begin to massacre Yana People. The Cottonwood massacre occured when 20 men and women of the Yana tribe were killed by white settlers in the town of Cottonwood, California. 1864: The Oak Run Massacre when California settlers massacred 300 Yana Indians who had gathered near the head of Oak Run, California for spiritual ceremony. 1911: August 29, 1911 - Following the deaths of his family and the last of the tribe, "Ishi", the last of the Yana, emerges from the mountains near Oroville, California.